The World of Peachtree Publishers: Little Red is a New York Times Best Illustrated Children's Book! Little Red is a New York Times Best Illustrated Children's Book! 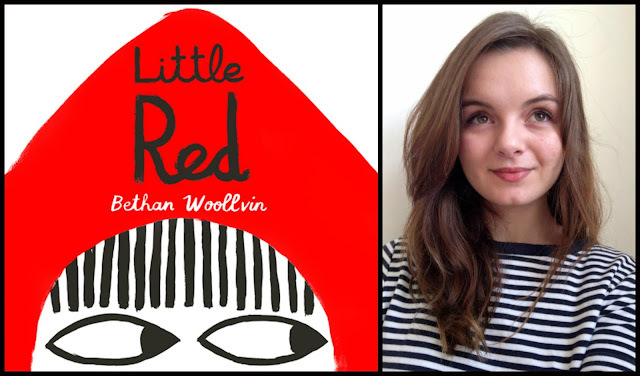 We just spoke with first-time author/illustrator Bethan Woollvin across the pond in the U.K., and as you can imagine, she’s over the moon about her debut picture book being named a 2016 New York Times Best Illustrated Children’s Book. Read on for an exclusive interview with her, Peachtree editor Kathy Landwehr, and a little surprise news! Congratulations! How does it feel to have your first-ever picture book honored as a New York Times Best Illustrated Children’s Book? Bethan: Totally amazed! I haven’t been able to stop smiling since I found out! The New York Times is so influential, so I feel very honored for Little Red to have been chosen as a New York Times Best Illustrated Children’s Book! 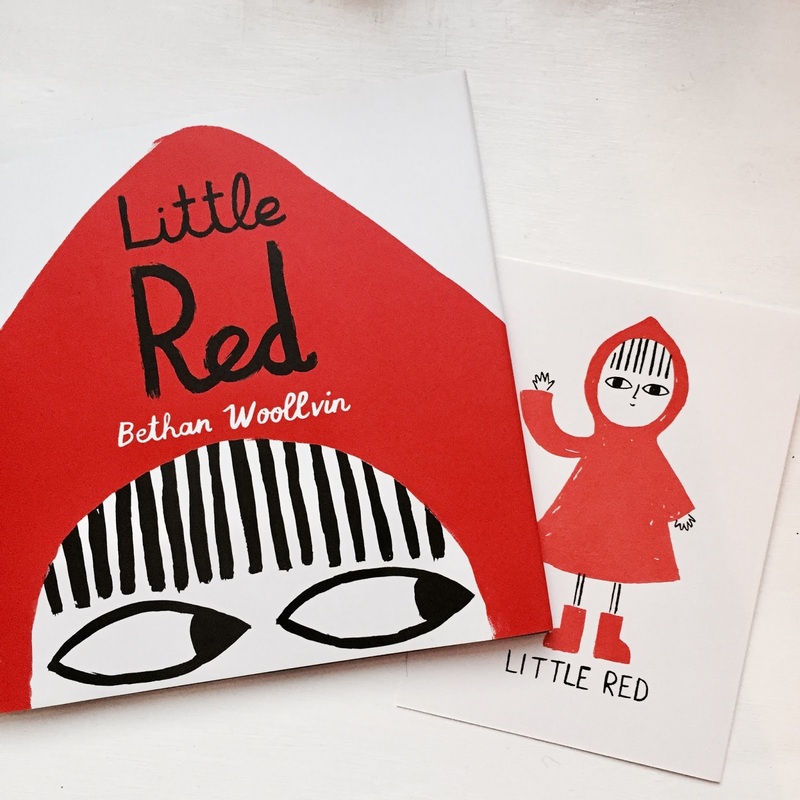 Bethan: First thing was a glass of wine, followed by a few more… Since then, I have made a celebratory print of Little Red to commemorate the award! I’m also coming to New York for the occasion, so I’m very excited for that. I hope to eat my weight in waffles. 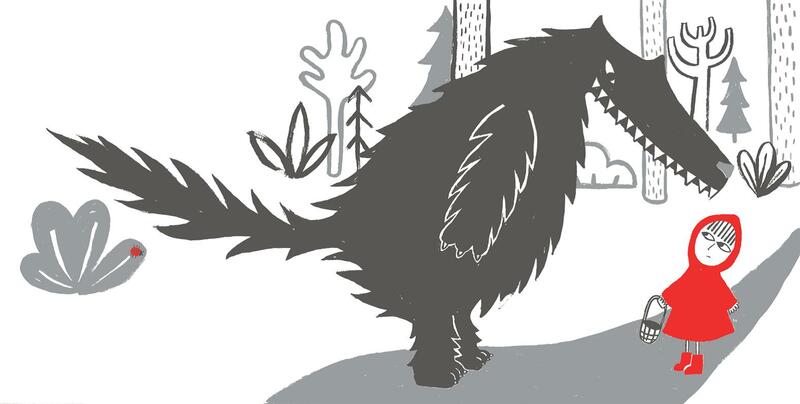 What drew you to the story of Little Red Riding Hood? Bethan: "Little Red Riding Hood" was among many fairytales I read as a child, and one that always stood out to me because it was so dark. The only problem was I couldn’t relate to Little Red Riding Hood. She has so often been portrayed as a helpless naive child who confused her own grandmother with a wolf! Then, if this wasn’t bad enough, she then (unsatisfyingly) gets saved, along with her grandmother, by a heroic woodcutter (who just happened to be wandering around the forest, looking for a damsel in distress…). It wasn’t until I was studying at university that I had the chance to revisit "Little Red Riding Hood." I entered the Macmillan Children’s Book Competition and started working on the story, but in the way I wanted it to be told. What inspired your unique spin on the tale? 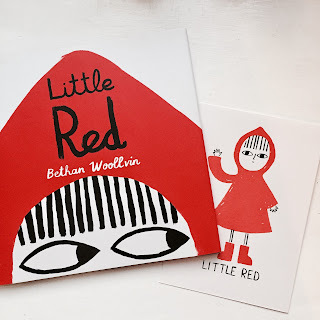 Bethan: I decided very early on in my character development for Little Red that she was going to be just as cunning as the wolf, which I think feeds into the "twist" of the book. Instead of being a victim, I decided that Little Red needed to be strong and brave enough for the woodcutter not to exist in this version. Why do you think your version has resonated with so many readers? Bethan: I’d like to think it’s because it appeals to both its target audience—children—as well as the adults who read it to them. I illustrated Little Red purposefully androgynous, meaning all of the younger readers would be able to associate with Little Red’s figure. Both girls and boys could easily invest in the character and the story. As for the adults, retellings of stories they'd have heard in the own youth will inevitably feel familiar but also potentially predictable. So while tapping into their nostalgia, the dark and hopefully humorous twist has kept the book dynamic. Bethan: Well, I’m sure you’ll be pleased to know that there are more books on the way! Aside from that, I’m just working hard to be involved in as many exhibitions, projects, and galleries as possible! Kathy, what did you think when Little Red first landed on your desk? Kathy: I was immediately drawn to the striking, stylish artwork. I loved the feminist message. And the more time I spent with the book, the more I enjoyed the way Bethan played with and built on the original story. What about her artwork captured your attention? Kathy: Her artwork is striking—I know, I said that already. It also has a lot of very humorous detail, not all of which is immediately obvious, at least to me. It is a book that benefits from repeated readings. Peachtree is all about nurturing backlist. What do you see in Little Red's future at Peachtree? Kathy: We have a strong backlist collection of folk and fairy tale retellings. We also have a strong backlist collection of picture books with feisty girls who take control of their lives. Little Red should fit in just great with both of those groups and have a long life ahead. Before we let you go, we hear you have some exciting news on the Bethan Woollvin front. Kathy: That’s right! We just—literally late last week—signed Bethan Woollvin for her retelling of "Rapunzel." It’s scheduled for release in Fall 2017. In it, you’ll find a well-known fairy tale reimagined with Bethan’s now-signature artwork and girl-power twist. It’s a lot of fun, and we can’t wait for readers everywhere to see it. Thanks all! And congratulations again! Look for Little Red at your local library, indie bookstore, or Barnes & Noble!